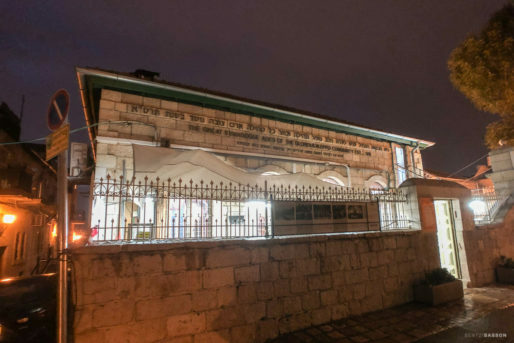 The Ades Synagogue, also known as the Great Synagogue Ades of the Glorious Aleppo Community, located in Jerusalem’s Nachlaot neighborhood, was established by Syrian immigrants in 1901. 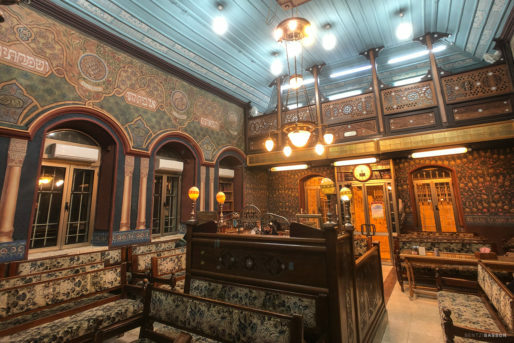 At the turn of the 20th century, many of Syria’s Jewish community had emigrated to escape the economic downturn, which arrived with the decline of the Ottoman Empire. While many settled in England, the United States or Latin America, some families moved to the Holy Land. 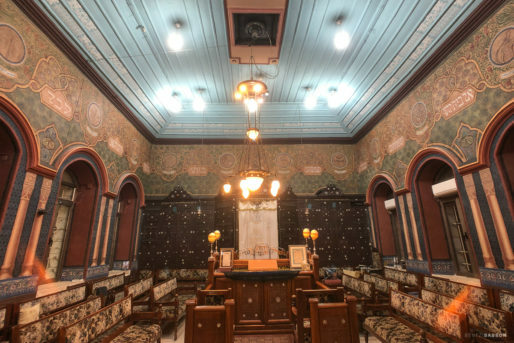 After some time, the synagogue was officially established in 1901 by a community of Jews from Aleppo, Syria. 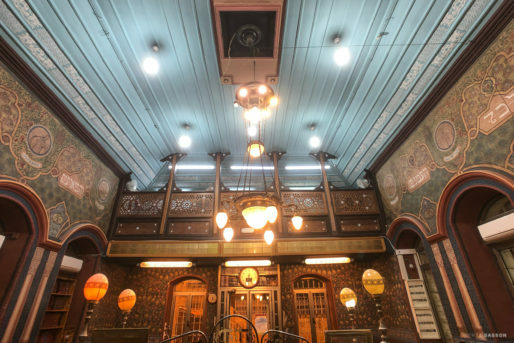 It is named after two cousins who financed the building: Ovadiah Josiah Ades and Yosef Isaac Ades. 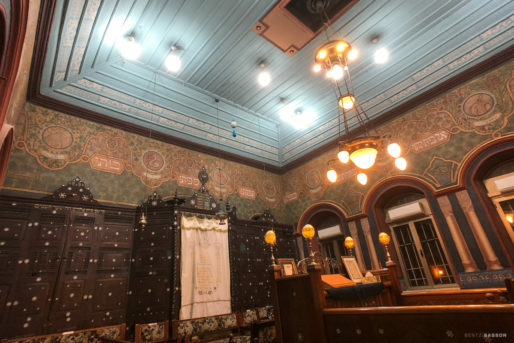 The new synagogue was designed as a neighborhood institution, and at the time, was considered one of the most beautiful synagogues in Jerusalem. 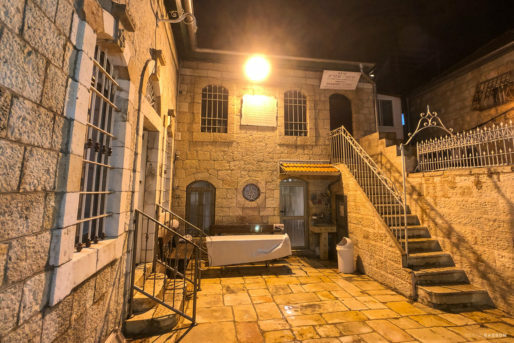 Although solidly constructed, the synagogue suffered damage in World War I and Israel’s War of Independence. 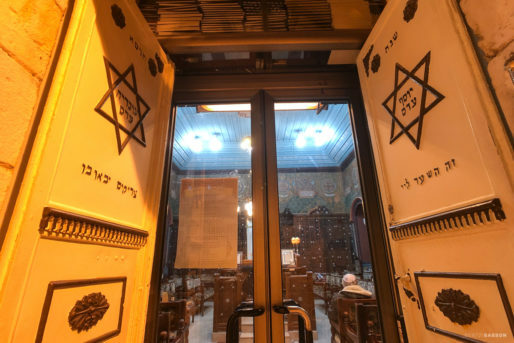 Today the synagogue is attended not only by Aleppian Jews but also by many different types of Sephardic Jews. 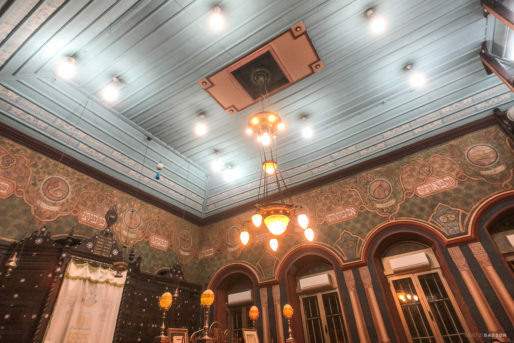 The traditional Middle Eastern-style interior is elaborate and well-kept, with a high ceiling, chandeliers, wooden benches facing a central dais, a small balcony for the women’s section and a Holy Ark covering the entire eastern wall. 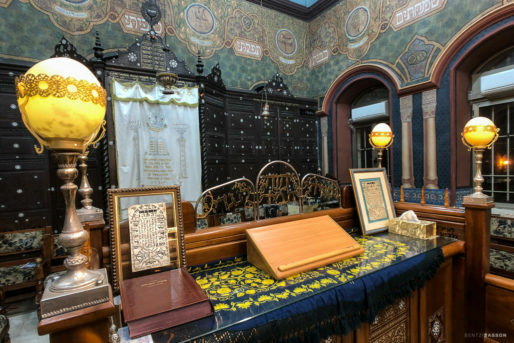 The large ark, made of walnut and covered with intricate geometric designs inlaid with mother-of-pearl, was extensively repaired in 2001 in honor of the synagogue’s centennial. 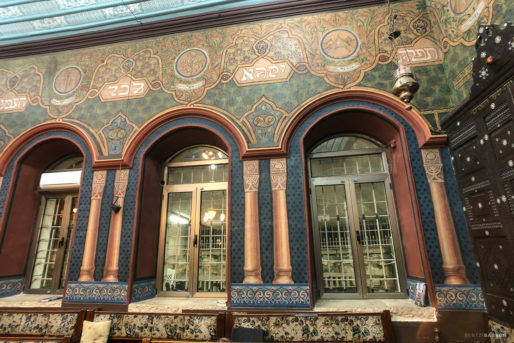 A mural depicting stylized representations of the Twelve Tribes of Israel, visible along the upper part of the walls, was painted around 1911-12 by Ya’acov Stark. NEXT POST Next post: Oops.